Following reviews of two IT books Gary Hall's "DIGITIZE THIS BOOK! : The Politics of New Media, or Why We Need Open Access Now" (DTB) has proved a change and a challenge. While I am familiar with new media - growing up with it as a webmaster and blogger, (as a community mental health nurse) I am not exactly well read in this subject; hence my inability to summarise and the length of this review. I have read Lessig's The Future of Ideas and related texts which prompted my requesting the book from the publisher. In this review I make several references to Hodges model. I make no apologies for the same as this is my nascent open access project of the past decade and experiences there have informed this review. There is an irony here in that Hall for me is acting as an introductory reader; in the introduction Hall bemoans the state of academic publishing, amid the internal market, increased student numbers, students as customers (where have I heard that before? ), the rise of corporatization in academic publishing with its emphasis on introductory texts and regurgitated works. The effects of change over the past few decades means short term employment for many staff, changes in disciplinary emphasis, the concentration of research. As a result Hall states there is a lack of original and challenging ideas and thinking, fewer avenues for researchers starting out on their careers. The advent of open access also highlights the cost of books and journals, which in turn affects the range and number of copies acquired by academic libraries for faculty and students. Hall poses several questions beginning with: what kind of university is desirable, or even possible in the age of digital reproduction? A thorough set of notes permeate the text, with for example, Hall qualifying his use of university, or universities and much more. Hall believes that universities are places worth defending - as places of dissent: an ongoing consequence of the centrality of knowledge, information and communication in political struggle. I have an additional interest in what Hall has to say as (what I believe is) an independent scholar. Hall's initial question and his own career in the humanities prompts discussion throughout the book on the status of cultural studies. From the factory as the site of struggle, to the university as a key space of conflict around the ownership of knowledge p.5. Hall backs up his concerns with references and figures, (one book across eight campuses) which given the pace of change might well benefit from being in digital form themselves. Flexibility is a much sought quality, and in publishing the ability to publish chapters and full books helps nourish new academic careers, creativity and innovation. Citations and academic tenure go pen-in-hand so this particular market is a delicate one; intellectual impoverishment is a high price to pay. Papercentric publishing is contrasted by Hall with developments in music publishing, peer-to-peer networks; the impact of Google's Book Search and the fact that a book must be published before it becomes part of Google's project. Hall explains the rise of existing open access archives and limits his book to open access and archives. Hall shakes up the paper format a little by alternating his five chapters with four servings of metadata. These provide keywords, web links, and very helpful bridging discussion. Knowledge and its authority and legitimacy and how it is affected by digitization. There has been little research on the potential impact of digital reproduction, publication and archiving; either on, or by cultural studies as distinct from digital culture. p.12-13. The intersection of philosophy and literature, key thinkers Husserl, Levinas, Derrida and the importance of ethics and "other". Deconstruction and what politics is and is not. Derrida and the need to think about the university, notably the authority and legitimacy of the contemporary institution. Analysis of ethics and politics. Hall points to a crisis of confidence within cultural studies and it is the word within that is significant here. There is cultural studies as a discipline within the university and hegemonic links to social movements, struggles, forces, and scope for radicalism. There's a sense of cultural studies finding a minima, tantamount to a comfort zone where key targets worthy of research - including - cultural studies within the university - are passed over. I also pick up a sense of embarrassment (or at least a negative association), since being political is to be left wing. (I wondered about this when I added an 'Activism' listing to the 'Political' links page on Hodges model - as if activism is tainted.) Hall repeatedly states that the last question in discussions on politics - is politics. In Metadata I discussion turns to capitalism, including hypercapitalism citing Graham (2002) and how the boundaries between production, consumption and circulation have become dissolved as new media pervades day-to-day existence on conceptual, physical and temporal levels p.21. Amongst several authors Hall relies upon are Poster, Hardt and Negri and their thought on biopolitical production involving ideas, images, affects and relationships with consumers as units of production themselves p.24. A point I must follow up. For me there is quite a chasm between open access archive and political institutions - especially the institution as per the university. There is a whole minutia of detail behind Hall's argument here that begs further reading and is ably teased by Hall in the references and metadata sections. I struggle with seeing an open access service or archive as a new institution, but Hall's point (and his referents) is that these OA resources can act as agents of change. Hall touches on the indications borne from Napster, the change in the CD-music industry and the rise of mp3. Can there be an academic Napster? One key point I learned c/o Gary Hall is the Harnard / Oppenheim pre-print corrigenda strategy, (this must be in Lessig) which enables authors to both publish in the standard (paid for) journals and books, but also post their work without penalty in open access repositories. Whilst reading DTB I contacted a global publisher and without addressing the copyright agreement I enquired about my submitting a published book chapter to an OAA such as Hall and Green's Culture Machine? I am pursuing this, with another chapter to be published this spring: so Hall for me is a mix of theory and practice no less. For chapter 2 in my notes I read "letting go". For Hall there is a need to move beyond the pre-digital preoccupations and re-evaluate how publishing research is valued and accorded worthiness. Hall describes the change in the notion of 'professional' in media as paper takes on, or tries to synchronize with the web for publishing. How is the production of words changed? The editing process and editorial boards p. 63? What can we learn from Lev Manovich now that the database is the new symbolic form of the computer age? The rise of blogs and their status - influence debated as with wikis, anonymous contributions 'academic blogs'. Again this was of personal relevance as I blog and as the French philosopher Michel Serres has highlighted the Internet will provide opportunities for many outside of conventional 'academia'. Perhaps, I am therefore as an independent scholar - an academic of our times? The previous stability - as evinced in place and time - in publishing has been thrown into chaos (quite explicitly in that non-linear sense). Hall reveals many examples such as text being replaced by Flash and how computer code has become art. The destabalizing effect of all this is to raise the question of quality control. In order to measure something though language is critical and so the need for a new grammar, a new language is needed. This discussion (p.67) reminded me of Michel Serres use of the Parasite as a trope. An uninvited guest at the table who can nonetheless contribute to positive change. This is new media. There is no escape from the need to 'sort, reject, eject or exclude.' New forms of peer review exist - Psycoloquy (archives on the web) and others are emerging; new approaches have also been tried by long established and venerable paper publications - Nature - no less p.67. It is not a matter of electronic publishing simply being different from paper publishing, in a manner akin to the way that many people have pointed out that to teach online you need to do more than merely put your course materials on the Web, experiment with "course casting" - using webcasting and podcasting to record lectures as audio or video files and then make them available to students to download on to their computers or iPods - or hold seminars in Second Life. page 70. Digital mode of reproduction raises fundamental questions for what scholarly publishing (and teaching) actually is .... page 7o. For Hall - academic authority (the power to 'sort, reject, eject or exclude') is already digitized; that is in a sense always already in a similar condition to that which is brought about by digitization. In metadata II 'Print This!' Hall calls upon Benjamin (1973), Readings (1994) and Derrida (1996) since research is needed not only in the process of access, communication, exchanging, classification, storing and retrieving - but change in the very content and nature of that knowledge. Existing disciplines (digital media studies!) fall short. Something else beyond the recognised, legitimate, pre-constructed and disciplinary forms of knowledge is needed. Hall argues (more than once) that new conceptual frameworks are needed. Given that Hodges' model is a conceptual framework, this is a debate I wish I could pick up and wholly pursue. Chapter 3 takes us to how to build an ethical institution with mention of existing projects: OSI, SHERPA, SPARC, DOAR. Another concept is introduced here 'iterability' - Weber's "it" and Derrida through significance, event, and context. In short, writing is iterable. We must be able to recognise something in order to work with unknowns p.88. There is a quote from Weber (page 93) that prompts me to re-join the library. Misunderstanding, hallucination and illusion are important in the transformation from familiar to unfamiliar p.94. Hall acts as his own critic. He asks - is this a proper analysis? He reflects on whether he really has built an open access archive? In a section entitled 'apprehension and anxiety' we are reminded that apprehend also means 'stop' and the presence of danger - the exception p.98. For in even asking contributors to identify themselves and their research by title, author, publication date, subject area, abstract, keywords, and so forth we are not being open to the other but are asking them, demanding of them, that they conform to certain pre-established rules, laws, and criteria. page 101. One of the excuses I have called upon in delaying the creation of a new - more dynamic - website, is that I am not sure about what content types to provide in the first instance and how much information to expect of the ''user' community'. I do realise that without structure there is no order. as an obligation towards the incalculable alterity of the other who renders me responsible and who calls me to question. page 105. The gift economy - supplemental or rival to capitalism. One important concept mentioned by Hall that I know of through Lessig is non-rivalrous. Hall refers to Richard Barbrook and the academic gift economy. These three approaches frame discussion of what it is to be political on the Internet and politicality - the need to remediate politics p.113. Again Hall brings in the fact that critics and researchers of new media are using pre-established frameworks of knowledge and methods of analysis. I must check on the 'transcendental' aspects of this. Once again Hall refers to Derrida in this past - future dichotomised debate; the future being understood in terms of frameworks of the old. Tactical media looms large, suitably placed in the latter half of the book. Garcia and Lovink provide a seminal definition. Hall is interested in employing new media tactically p.126-127. I arrived at the operational, tactical and strategic dialogue through information systems and readings in health care management. I have championed Hodges' model as an excellent tool because it can readily frame these and other aspects of the socio-technical debate. The incorporation into the model of a political domain makes it a tool well suited for Hall's purposes too. Once again on p.134 there is a call for conceptual frameworks. Granularity appears to be a difficulty as there is talk of strategy and the tactical, but not operations? For me tactics are intermediate. No doubt I need to read more, but is research not needed on how the miniaturized, technical, personalised, tools that people are adopting, customising, and using are 'operationalised'? How has the mobilization of new media in form and person (individualised, integrated, ubiquitous) affected the operational and hence tactical potential of new media? Amongst these applications and purposes that are deployed onto the market which are 'political' - directly or indirectly? There is an abundance of theories to follow - the hegemonic and counterhegemonic struggle, neo-Gramscian theory, anti-political moralism (Wendy Brown) plus questions about moralism and what that may say about politics - by way of analytic impotence and political aimlessness p.144. The political terrain is mentioned, comforting as I like to try to think topographically. This part of the political domain is rather uncertain territory - which made Hall's book a challenging and enjoyable read. The rise of New Labour, Conservatism, social democracy, neoliberalism and the Iraq war protest help to reassure, illuminating the landscape. Hall highlights the need to explore politics as official policy and as the communications interactions of the public sphere. A key argument here is that despite the protests and use of the Internet to mobilise the public, the technology fetish also functions as a means to disavow and conceal this political disempowerment or castration - Dean (2005). So, Internet politics comes out unfavourably when contrasted with other counterhegemonic forms of political struggle p.147. The tussle here is framed as between Dean and Grossberg. A further handhold for me is provided with Dean stressing the importance of context, temporal frames of reference p.148. 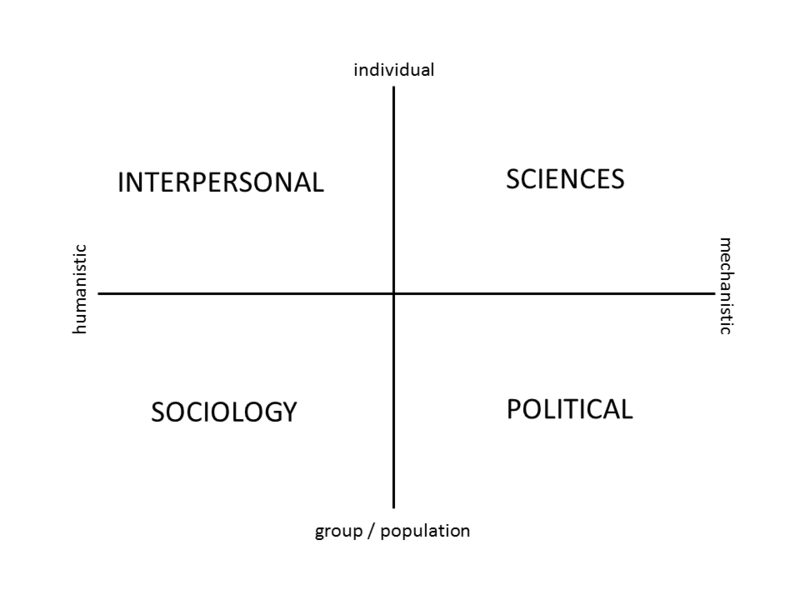 Hodges' model can function in this way, recording conceptual snapshots across four domains of knowledge that includes the political (and collectively the 'spiritual'). Right on queue the problem of old frameworks of knowledge rears its head yet again. The concept of 'politics' creates a problem, in that there are no true 'exemplars'. One exception is raised: Marc Poster (1997) versus the work of Sherry Turkle 'Life On the Screen' (1996). Poster focuses on the Internet as a form of public sphere of which more is to follow. Metadata III reminds us that (throughout the book) Hall stresses the need to act tactically. National statistics have been superceded by data that is complex, and yet fluid. The turn to 'power' brings in Foucault and 'heterotopia'; old and new forms of media and the differences and specificity of those new forms. I read DTB through the news of terrorism in Mumbai and became aware of government's ability to control the media - new and old - by essentially 'pulling the plug'. In this respect the Internet is posited as being (positively) 'subversive' bringing about political change and yet it can be subverted itself. 'Reward' is a key external motivator for (the) many and for Hall open access publishing differs from music and copyright in that it can work. The 'market' is different. We are told that the open access movement is neither unified or self-identical. This is a fascinating discussion as there are various performances of digital media and each has a potentiality to transform. Two important concepts lie in the singular and the 'singularity' and evident in the comprehensive index. For me a call to read further and extend. How will a new regime of digital culture emerge? (Is this to say that in being recognizable, it will be predictable; or will it emerge and as it emerges - be revealed?) p.157. As already noted, Hall views an archive as an institution. On page 160 "an archive is not a neutral institution...". I wonder how the archiving of things 'digital' itself affects digital media? It has been stressed since the late 1970s and earlier that a great deal of digital heritage (yesterdays 'new' media) stands in danger of being lost, often but for the initial work of individuals and now agencies set to preserve the hardware and the media formats they support. The blue-ray discs of today will be the jaded drinks mats of tomorrow, as solid-state and holographic storage media take over. Hall recounts briefly (but effectively) the history of books and how the early history was plagued with problems, until conventions emerged such as author, mass printing techniques, multiple copy editions, copyright, publishers, proof readers. Eventually books were "fixed". Digital media are still 'suspect' in terms of their authority and legitimacy (WikiPedia is a case in point). What is included? What is excluded? Who decides? I have experienced the politics of WikiPedia myself. What is fascinating for the future and current status of open access is how long it has taken the (until recently) papercentric publishing of medicine and health care to formulate and achieve 'gold' standards in publishing. 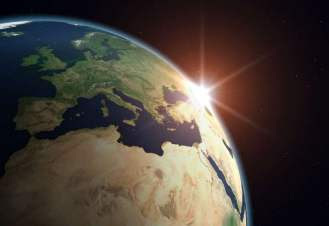 Here the currency of our time is evidence-based medicine (health, nursing...) and open access aspirations are not lost in this global (health) politico-scientific world. Is there as Hall suggests a green standard of open access self-archiving and a gold standard of open access journal? Hall seeks clarity in existing definitions of journal and archive, and what are considered the properties of digital archives (positive and negative) p.164. New forms of media are described as 'fragmented'. I'm struck by this thinking of holograms and how when shattered the pieces can still represent the whole. There is undoubtedly much more to follow from this seam of thought and discourse. Hall also writes on how cultural studies prides itself on its interdisciplinary approach and yet (the notion) of interdisciplinarity sustains the identity and limits of disciplines. Ultimately, Hall explains disciplines are more or less violently excluded, paper-world rules are applied and render disciplines (theory and practice) as legitimate or non-legitimate. Chapter 5: hypercyberdemocracy focuses on Poster's essay 'Cyberdemocracy' with Hall advocating Poster as a means to proceed p.167. Discussion is also informed by reference to technopolitics and the work of Kahn and Kellner; who want to make technopolitics as a major instrument of political action. Garcia and Lovink seek a qualified form of humanism; a useful antidote to both the unopposed rule of money over human beings ... also all forms of technological determinism should be condemned. Technology is designed: it can be criticised, altered, undermined, mutated and, at times ignored p.169. The critical - 'user' perspectives on technology are familiar in the health care setting, with several generations of clinical (nursing) information systems that have now variously evolved into the personal health record and summary care record and seen the creation of a 'common user interface'. Suppliers know now they cannot afford to ignore usability and 'human-factors'. The next point that spoke for me concerned a shift from emphasis on representation in there own right, and the uses of representations. This made me want to consider the discussion from within cognitive science - a very heavy user of computer based representations. We return to tactics with the question of our use of texts and artefacts as consumers. There is an interesting and illustrative analogy employed to shed light on what the Internet is. We learn that there is no simple distinction between technology and its users. Mention is made of herds, swarms and flocks, but I felt this deserved more detail possibly benefiting from references to the non-linear in cultural studies. Perhaps this is as yet limited? This seems worthy of a further book seeking sources beyond the usual cadre of commentators? Poster's essay matters for Hall as the Internet raises questions about our traditional notions of 1) Politics; 2) Citizenship; and 3) the Public sphere. Figures on CCTV in the UK loom large here, and how the home - the most private of spaces - is the most connected. The Internet is often thought of as a heterogeneous environment, but for most users it has its mega sites with nether regions that are visited rarely even though (qualitatively) deserving of attention. Habermas writes of the Internet as a political domain p.174. For the unfamiliar, there are other intriguing angles to pursue that include - Stiegler's originary technicity and Derrida's techno-logical condition. Following several 'World Parliament' and 'global citizenry' websites and mail lists, I identified quite readily with Poster's idea that we need to be open to the possibility of a form of politics that is something other than democracy p.179. This refers back to Hall's choice of subtitle in 'Another University is Possible', a play on the slogan of the World Social Forum. This particular debate is even more relevant as the question now one of 'new' economics not just politics (or in combination their collective governance). Hall closes with 'hypercyberdemocracy' and states that the search for a politics that is absolutely new is of course a lost cause. Hall demonstrates this through the work of Derrida and Weber. Key though is the need to challenge the old definitions of politics, customarily associated with the state, society, power, the common good. Poster claims that there is no adequate post-modern theory of politics. Is this the case? Hall believes there are theories based on Heideggerian flavoured deconstruction of Phillip Laccouse-Labarthe and Jean-Luc Nancy, Ernst Laclau. Poster's idea of politics is of something raised to a transcendent position, where what it means to be political is already given and agreed upon a priori p.183. In summary, the Capital vs. the Commons is revisited. The commons is 'abstract labour' as per Paul Virno and Antonio Negri: capitalism is needed to create the commons. Hall lists conditions that allow for the creation of a commons p.192. For Terranova, Barbrook is too optomistic about the hi-tech gift economy; seeing the Internet as both a gift economy and an advanced capitalist economy. As per health and education: how do you measure? Hall reviews the political potential of several thinkers. This for me is complex reading: Does Terranova repeat the dialectic as per Lovink and tactical media? Or does it enable her to think the relation is a more subtle Foucault / Deleuze and Guattari inspired non-dialectic fashion? There are other possible ways forward including Laclau and Mouffe's neo-Gramscian theory of hegemony; the philosophy of Foucault, Deleuze and Guattari or Derrida, or the Italian Autonomist Marxism of Negri, Lazzarato and Virno p.195. While Hall regards Poster's work as significant and a signpost - in the end (my reading at least) he feels Poster is asking the wrong question. Wrong because of 1) what are identified by Poster as modern understanding of politics; 2) this modern understanding of politics may be what the Internet resists and reinvents; and 3) the wrong question because any such new framework may only be intelligible if a framework is adopted that does not limit the discipline from the outset to modern perspectives of interpretation. I am surprised in reading Hall that there are no more 'recent' commentators directing thought in this field. Can cultural studies be hung by its own petard so to speak? It has the ability (prides itself on its ability) to criticise everything, perhaps this is why there is a crisis regards the politics and for me the temporal metrics - the pace of change. The surprise is acute when you consider the temporal differences that are said muted (the 'Internet Year') to operate in this field, or is this a myth? Perhaps this is yet another variable that must be factored in? Hall has made me hungry to read more and browse less. I've learned a lot and am still learning. He's forced me to think and re-view and that is a very good thing. I realised some ten years ago that 'democracy' is a very loose term - there are many forms - and with that perhaps a new word is needed? OA may be a key ingredient of a gift economy, but as Hall states it does not follow that OA is democratic always and everywhere. For Hall there is a vacancy that calls for a philosophy of open access. I am not sure of the status and credentials of Harnod, Guedon, Suber and Willinsky et. al., but I would really like to think that there is a role here for independent scholars too? There is a really strange paradox in the West at present and it concerns our fixation on that point called the individual. Governments and government departments are obsessed with personalisation, the need to engage the citizen by making budgets available to individuals in health, social care and education. Services in the UK have changed greatly in the past twenty years, NHS Direct, mobile phones, the (global) 'Internet population', e-Gov. How does 'politics' keep up and how does cultural studies follow the changes: which 'cohort' are they part of? Hall asks for a philosophical basis for how cultural studies engages with the university. Quite a different question from those ongoing throughout the book and yet behind them is the question of ethics. Hall insists to the end that the open access archive enables us to conceive of a different future for the university. Hall raises questions about the knowledge economy, new forms of exchange. How (for Negri) can the commons be taken away from exploitation? In economics new ways and means have emerged. I cannot vouch for their distance from 'capitalism', but there are examples such as the Nobel Peace Prize 2006. Alternate economies may indeed be a pre-requisite for what Hall and his peers seek? In the final metadata IV Hall writes about the singularity of new media, referring to his activity in the field. Checking the index and reading the text the 'singularity' (and singular for that matter) is a pivotal concept that I must investigate. Amid the 'hypered' goings on in technology and this literature there is a need for 'hyperanalysis'. What politics is and what it means to act politically cannot be left completely open and undecided. For the past 2-3 years I have been creating a new website. I've settled on Drupal as my tool. I'm convinced there is community for Hodges' model out there; there is a rationale for it: and it is global. There is a potential audience of inhabitants, a community of users for this new website. I have to make decisions to get the site out of the door (Tracey Kidder, The Soul of a New Machine). Poster says build the archive. For Hall (and this reader given my position) CSeARCH is the example; an emergent project constantly in the process of becoming. It really is fascinating to think that with the right content types* AND users I could be helping to create an 'institution' - an archive built in accordance with an open access ethos, its politics AND ethics. 215 pages, 53 pages notes, bibliography 20 pages. Acknowledgement: My thanks to the University of Minnesota Press for the book copy. There was an interesting letter in The Guardian 16 October 2008, the week that the research assessment exercise (RAE) results were due to be published. This highlighted the experience of many academics, and the problems faced by some in research posts as to their ability to gain longer term security. Plus the need of established staff to ensure they have their name attached to papers in order to meet their (RAE) tally. Mandated online RAE CVs linked to university eprint archives: Enhancing UK research impact and assessment Stevan Harnad, Les Carr, Tim Brody and Charles Oppenheim make a compelling case for optimising the UK's pre-eminence in Research Assessment. Power Struggle: Then in January 6, 2009 Education Guardian highlighted how students are not apathetic, they have found new ways to protest and new targets for their ire p.10. Paul Redmond. (I have a paper that combines aspects of Serres and Hodges). Tracey Caldwell, Open access citation effect illusory: First randomised trial suggests OA boosts readership but not citations, Information World Review, 03 Sep 2008. Hodges' model - "Here, There and Everywhere...."